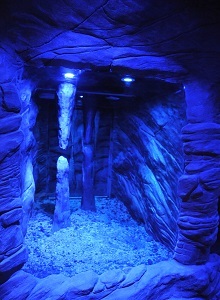 Welcome to our exciting Theming and Rockwork page. 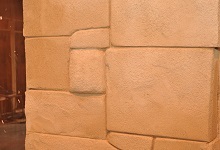 Everything on this page was created by our team of sculptors and artists. 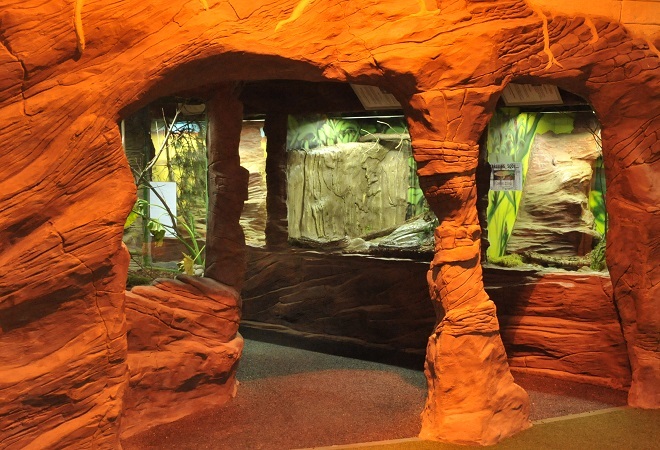 Our team travel over Europe working on Theming projects for our clients in Theme Parks, Zoos, SAfari Parks and Museums. 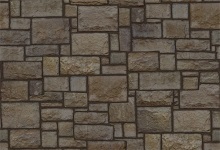 Whatever your project, however you want it to look and on any scale, we are the solution for you. 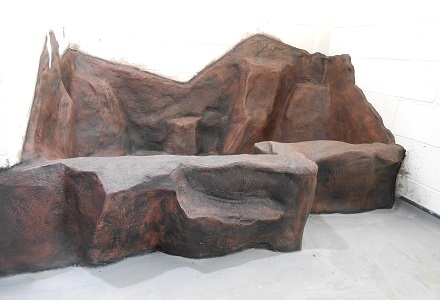 We will create a perfect rock wall, a mountain around your rollercoaster, a tunnel for your scale model train or an entire Theme Park of different scenes. 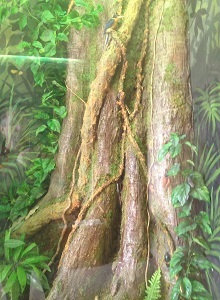 Bring it all to life with Tropical House Theming. 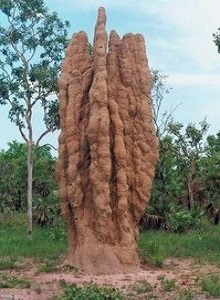 We are unique in this market place because we are Zoologists who have trained to work with theming technques. 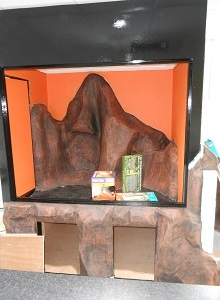 Coming from that background we are able to work in closer detail to Nature, we can tailor our work to suit the animal a zoo may want to house in one of our displays. 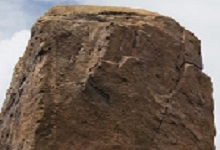 Understanding Nature also means that rocks and caves are more realistic. 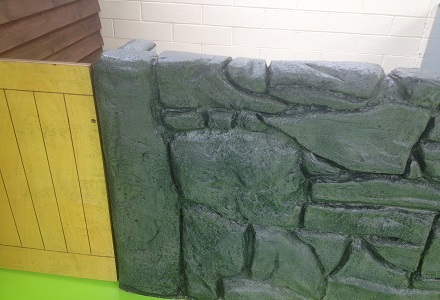 We specialise in very natural looking projects, not necessarily artistic representations. So if you want a mountain range in a theme park to look exactly like the rockies, we are the people for you. 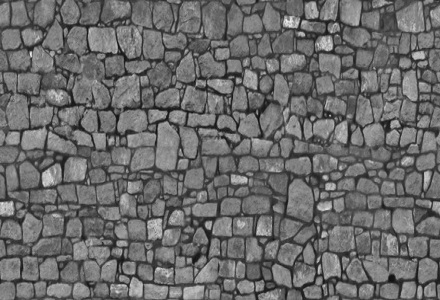 Create ultra realistic stone walls to clad buildings. Make your outhouse look like a newbuild with this service. 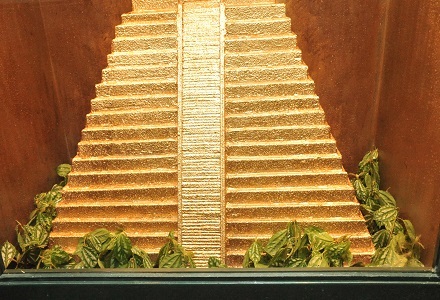 Build, from scratch, Aztec temples or Egyptian Pyramids. These can have rides or animal enclosures incorporated into them. 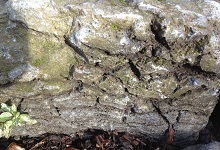 Tree Stumps or whole trees, in leaf or fallen over. 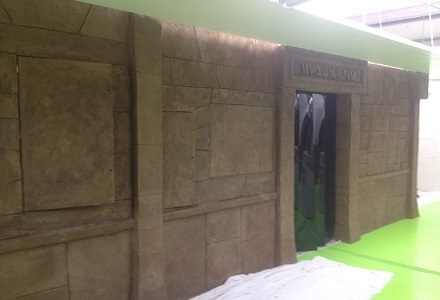 These can be used as an entranceway or for a train to pass through. Bat Cave. 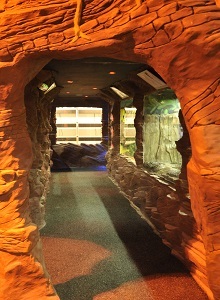 What about creating a cave in a corridor so your visitors are walking into your display area through an atmospheric rock feature. 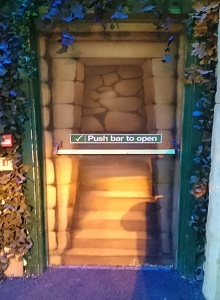 Our artist can paint fire doors or exits so thety blend in to your exhibition and become part of it rather than standing out and ruining the look. 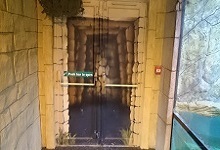 We can theme an existing ride or exhibit and transform the look into anything you want. 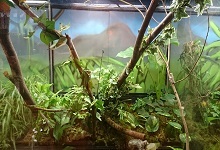 A simple enclosure can become a jungle riverbank. We can build models, a model village, a scene form a movie. We can incorporate figures and animatronics if you want. 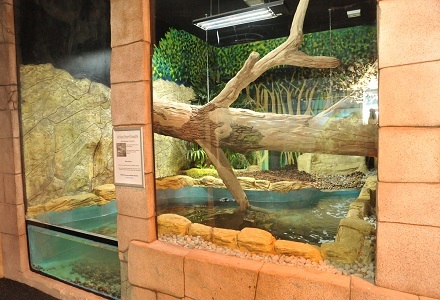 Exotic Animal Indoor Exhibition, Five Sisters Zoo, West Lothian. 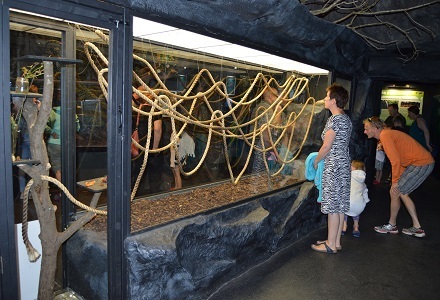 Following the destruction of the previous Tropical House in this zoo by Fire we were given the assignment of designing and building the new exhibit. 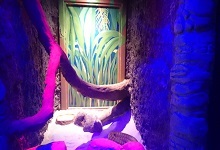 Our concept was to have the public enter through a cave which would incorporate a series of windows into separate displays of Reptiles. After around 40 metres of cave the area suddenly opens out into an Aztec Temple with hanging vines and huge walk through exhibits. Our team of 6 arrived on site in November and we completed the build by Easter. 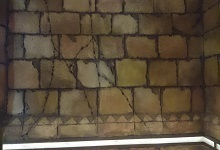 The structure was entirely clad in our Theming. 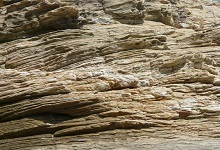 Many of the pictures shown here are taken from the work we did on this project. 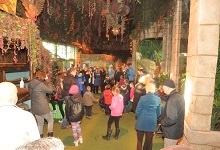 This exhibition was opened by The Scottish Minister for Children And Young People, Angela Constance (above) and has proved to be a fantastic attraction for the zoo. 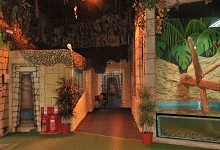 caves, this has been a wonderful collaboration between Tropical House Ltd and Five Sisters Zoo. I hope to use Andrew again in future projects. Knowing a company will deliver what they say in the time available without major issues gives me great peace of mind." Depending on what stage we get involved with you might need us to draw plans or make a mdel for presentation to funders / investors or senior management. Click on our Designs and Model Making page below. Whether you are a Theme park, a zoo or any of the other types of client we work for a Leaf Cutting Ant nest may be the perfect way to stand out. Have a look at the Leaf Cutting Ant page below for details on the services, products and livestock we can supply. Also check out our online store and take a look at the Trinidad Expedition page if you fancy stepping out and doing something very different.